New Zealand's most popular online one-stop shop for auctions and classifieds. Trade Me has thousands of new and used items in a range of categories, including homewares and lifestyle goods, sports equipment, toys and games, motor parts and accessories, clothing, electronics and personal care items. Commission fees on sales are a low 9.85%. If you're looking to expand your operations worldwide, Trade Me is one of the easiest as there are no translations required. The Trade Me connector is an application which is embedded into Linnworks, developed and supported by eBusiness Guru. Locate Trade Me on the list, and click on Integrate. After reading the warning, click on Accept to move onto the next step of the integration. You can click on the link at the bottom to review the Trade Me Connector Terms and Conditions first. Enter your Trade Me account name to start the actual integration. 1.2. When you get your temporary token and secret, click on “click here to authorize access to your account” to authorize your temporary token and receive your permanent Authorisation details. 1.4	After login you will receive the final access tokens. 1.5 Copy and paste these into the Trade Me integration screen. To complete the integration, please click on Finish. Locate the Trade Me entry, and click on the Configuration button. To Enable or Disable the Account, click the Account section. If the Enabled option is un-ticked, the channel will not download or update orders, or provide inventory level updates. The Test button allows you to confirm there are no errors preventing Linnworks and Trade Me communicating. Contact EBG Support if Test reports any errors. In the Inventory section, the first entry is Update Inventory. If this is disabled, then Linnworks will not tell the listings on the Trade Me marketplace when Available Stock Levels change in Linnworks. If enabled, then Linnworks will provide these updates. Update Inventory only works where a listing has been Mapped to a Linnworks Inventory item. See the end of this document for more information on Mapping. The Price Change feature allows Linnworks to send new prices directly to the listing when they are correctly imported or updated. Max Listed allows you to filter the highest quantity that Linnworks can/will send to the listings on the Trade Me channel. If Max Listed is set to 50, and your Available Stock moves from 30 to 60, Linnworks can only send 50, and this will not change until the Available Stock level drops below 50. Stock Percentage acts in a similar fashion, but only updates the listings with the specified percentage of your actual Available Stock level. End When allows you to set a ‘false zero’ for the channel. This means it will send Out of Stock when the available stock reaches the value set in this value. In the Listings section, the information reflects the information Linnworks currently has about your listed items on the Trade Me marketplace. The Last Listing Download Completion time value tells you when the last successful download completed and was imported into Linnworks. This section reflects activities affecting the Linnworks Order Sync on your Trade Me channel integration. Linnworks downloads orders from Trade Me with the status Shipping in Progress. In the Order section, there are two options. Despatch Notes, when enabled, allows Linnworks to send information about orders that have been processed in Linnworks. Orders that are processed in Linnworks are updated to the status Shipped on Trade Me. The Order Sync Date reflects the date and time of the last successful order download and update for the current Trade Me channel integration. These settings are used to enable Linnworks and your Trade Me account to connect, and are covered in Step 1. Remember to click Save at the bottom of this window to apply any changes. Click the Location Mapping button. The first option in the Location Mapping window is the Order Download Location. This is initially Default, but can be changed. Click on the dropdown list and select which inventory/fulfilment location will initially receive the orders from this Trade Me integration. Under Inventory Sync Locations, you control which Linnworks Inventory locations are used to calculate the Available Stock values for your Trade Me listings. If you have multiple Inventory Locations, you can switch Off locations (Slide switch to the left) that you don’t want to be included in the stock numbers on the listings. Ensure you click Save when you have finished to update Linnworks. You should also click Save at the bottom of the configuration window to apply any changes. Linnworks.net uses the Mapping Tool to ensure that it knows which SKUs in its inventory are connected to which listings on Trade Me. As such, you should ensure that all of your listings are mapped correctly, or stock levels and prices will not update correctly, and orders may not be picked accurately. 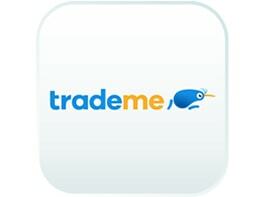 Locate the Trade Me entry, and click on the Mapping button (see above). On the left are the listings Linnworks is aware of on your Trade Me channel. If this is not correct, or a change is missing, you should see the Download Listings button in the Listings section of the Channel Configuration. On the right is a Linnworks Inventory Search Tool. Each has its own Search box. Please Note: SKUs with "BuyNowOnly" at the end are one time only listings so stock would not been updated for those SKUs. Only the price will be updated for BuyNowOnly SKUs. For all other SKUs without BuyNowOnly stock and price both will be updated. Click the Settings button in the top left hand corner (with a gear on it). Linnworks will map all those listings that have a SKU that matches a SKU in the Linnworks Inventory. Click on the SKU to edit the item. Click on the Listing Descriptions tab. Under the Product Pricing by Channel section, click on Add New. Enter the Source as Trade Me. Enter the SubSource as the name of the Trade Me channel. Click on + Add to complete. If there is already an entry present for the correct Source and SubSource, double click the Price to edit it, and then click Enter. Close the SKU window when you have finished. The next step is to map your Trade Me Shipping services to Postal Services in Linnworks, so orders don’t need to have their Postal Service set manually. Initially, all are mapped to Default. Locate the Trade Me entry, and click the Payment Method button on the right (see above). This opens the Edit Payment Methods window; the list will initially be blank. When mapped, Linnworks will ensure the orders it downloads from Trade Me reflect correctly which payment methods/providers have been used on the site. Select the Channel Payment Method value, and select one of the Payment Methods from Trade Me that show in the dropdown list. Click Add to save the mapping, and return to the list. Repeat this for all of the Trade Me payment methods that you wish to use. Locate the Trade Me entry, and click the Shipping Mapping button on the right (see above). In the Edit Shipping Allocation window, you should see an empty list. To add a new entry for one of your Trade Me shipping services, click on Create New. Channel Service Name: enter the name of the Shipping Service in Trade Me. Channel Service Tag: enter the Tag value used for the service in Trade Me. In the Linnworks Postal Service dropdown, select the name of the Linnworks Postal Service that should be used for orders imported from Trade Me with the Shipping Service to dispatch them correctly. Repeat this process for all the other Trade Me Shipping methods you are using. Please note that the Trade Me Channel Integration for Linnworks is not designed to be used alongside other third party Trade Me apps. As such, please be aware that using other third party Trade Me integrations may cause issues and impede functionality. The order download functionality requires that the SKU field for the Trade Me Listing be populated and assigned/defined. If this is not so, then the order may not be downloaded as it will be incomplete. Other integrations may use different fields that do not populate the SKU field, and we cannot accept responsibility for errors or problems arising from the SKU field not being populated for your listed and active items when downloading Trade Me orders.